When options are abundant; and social media networks are available in many niches…. which websites do you think TOP the list for strategic social marketing? Here is a quick breakdown of the top 3 which I believe should be your starting point for researching & building a community around your brand or idea. 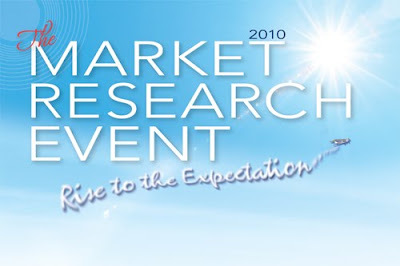 - Search, Search, Search ‘ do your market research! Now that you know where to start; or if you have already started and plateaued – it’s time to think about next steps. From setting the strategy, to operationalizing it, to measuring the results ‘ this event is a high-level overview of the Social Media & Community space. We had quite a few bloggers from around the country and world at last week’s TMRE. What did everyone have to say? Check out the TMRE Mentions from around the web. Is your review not on the list? Add it to the list by placing a comment below! Dan Rockwell: The Market Research…. EVENT! Internet Retailer recently turned to Facebook to support their customer service. By teaming up with Parature, Inc, they were able to create a “Support” tab on their Facebook Fan Page that hosts FAQs. If customer questions aren’t answered in the FAQ questions, customers can contact employees for answers. Not only does this get many of the questions answered, it allows Threadless to monitor what customer service issues need to be handled more quickly than others. 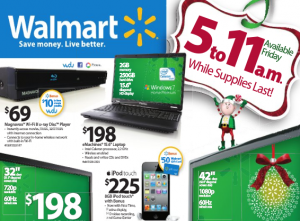 1) People are getting the info far enough ahead to plan a trip to walmart and purchase specific black friday deals. 2) To VIEW the deals, all you have to do is search for retailer+black friday on google.com which *many* people are doing since they want deals. Plus they are spreading like wildfires on various coupon/deals sites. Social media channels have allowed retailers to get their products and low prices infront of millions of eyeballs at a much lower cost then traditional methods. How does this apply to your social marketing efforts? Are you using social media channels to capture people at different touch points? If we think about building a community; which TOOL or social media platform would you choose to get the word out or word of mouth campaign going? Recently I have been looking more closely at Facebook and what advantages there are for B2B applications. The users are there; of course mostly for personal reasons but they are there. Gettting users to FAN/Like a page is the 1st step in building the community around a brand, event or whatever your product may be. It seems more and more that incentivizing the “Fan/Like” is where the call to action comes into place and you can gain a stronger userbase around your brand. In Walmart’s case, each and everytime they lower a price, their fans are interested in knowing about these deals so “FANS/Likes” are much easier to get. For B2B organizations it seems like the incentive has to be appropriate to the audience. Since we are not selling a Plasma TV we have to think about what our users would want within their work environment and appeal to those needs/wants. What does your company do to get FANS/Likes? Thank you for the great pics, Nelson! Tenth person to contact me with a sighting of him/herself wins a $5 gift certificate to Starbucks. It may not pay for a whole cup o’ joe, but it’s a start. Reminder: a comprehensive exec summary for the entire three-day 2010 extravaganza is in the works, so stay tuned!
? ?The category is very much like buying a consumer good. Every airport has a row of brands from which to choose’similar to looking at a grocery store shelf.
? ?In the car rental business, having a reservation does not mean you have a sale. A lot of people will make 3 reservations for a single occasion! So 30% of reservations are not completed.
? ?Car rental customers are promiscuous (this point was accompanied by an amusing picture of the Jersey Shore cast).
? ?Brands can’t differentiate by car model. The rental companies usually have the same or similar car models. But as the Avis speaker points out, there is always opportunities to change a category, to find a new opportunity’if you just think about your consumer. Zipcar’s phenomenal entrance shows us that! Also, Avis had acquired Budget’so they need a two-brand strategy that worked. 1. Align insights with business objectives. 2. Find the right customers. 3. Ask the right questions. Quoting the infamous Henry Ford quote :If I asked people what they needed, they would have said faster horses.’ That’s the wrong question. While this sounds like a lot, Becky says that Avis is actually doing fewer, better studies’and then repeating them. (As an aside, they refer to researching lost accounts. But weaving this with Dan Heath’s keynote, I wonder if they also look to study the ‘bright spots’ that Dan referred to). Defining the scope of the research required careful thinking: are we focused on occasions or people? The segmentation revealed 7 groups, varying on price, services and products. For example, ‘Car Enthusiasts’ ranked higher on the Products axis. Car enthusiasts are also willing to spend much more, so Avis now gives them access to a ‘Cool Car’ program. 2. Those that prefer Avis’but for business only. 3. Those that prefer Avis’but for personal only. 4. Those that prefer Avis’but for both only. For example, turns out there is a big group of people who are loyal to Avis for business, but not for personal. But even from this group, there are 2.3 million lost rentals (although this was unclear if this was for a year or other time frame of measurement). The analysis also show how these groups vary by brand switching’and to which brands. Not surprisingly, the reason for switching is most often price. In the past year, over 800,000 people have participated in the VOTC research. Many are repeats, so they can track changes over time. While traditional VOTC research displays a lot of data, they decided to symbolize the data with green happy faces, red sad faces, yellow moderate faces. Using pivot tables in Excel, CMB built a tool that allows Avis to see the happy face results by location, day, or even filter by keyword. Visually, it looked a bit busy to me, but it does allow a user to quickly glance and see’one a given day’did we have a lot of red? And then click on each sad, red face to see the individual scores. The key is actionability: The quick visual/color patterns makes it easy for them to spot a bad day at a specific location’and find out why. BTW’Avis ties peoples’ compensation (even counter people) to the scores. When a low score is entered, a dialog box opens up for the customer to add comments. And even counter employees are held accountable. Site managers have 24 hours to respond to complaints, and if they don’t, their boss knows.
? ?Market research must tie back to business objectives.
? ?The results need to be able to sell a wide array of internal clients.
? ?Asking questions and presenting results in a way that everyone can understand is critical. The morning presentations were just terrific, as I’m sure you’ve seen in tweets over the past few hours. I had to miss some of Richard Thaler’s while I got set up for blogging the breakouts, but I was able to catch all of Dan Heath’s (Switch: How To Change Things When Change Is Hard). As several people (including me) have tweeted, he deserves special thanks for tying his thesis back to MR applications. Over the past three days, emotion-based decision making has been a core theme. Jonah Lehrer pointed out that without emotional components choices become terminal dithers and that the same receptors that open us to pleasure and excited anticipation can alert us to weak signals of danger that the intellect can miss utterly. What some might try to dismiss as intuition and unexamined (read unreasonable) leaping to conclusions, others have identified as key drivers of survival and success. The lessons for us, say Dan Heath and David Santee (yesterday’s breakout presentation) include the need to frame research insights in concrete and vivid terms, supported with imagery and anecdote where possible. The abstract may impress but it ultimately bores and numbs the decision maker. The concrete may seem simplistic, but it grabs and focuses attention on the problem and the need for a solution. So… research clients, whether of outside suppliers or internal research departments, are ultimately consumers of our product. We all want to get noticed, validated, brought to the table, made privy to the decision factors, and respected for our contributions. One aid to that journey is making our presentations strong and ensuring that they have concrete emotional appeal as well as intellectual rigor. Going into the breakout sessions this morning, the first stop was with Google and NBC Universal, who have piloted persuasive demonstrations of the relevance of search patterns to advertising effectiveness. Using publicly available tracking modules (google.com/insights/search), Google’s Dan Zigmond was able to show spikes in search activity for relevant key words that matched closely with external metrics. Dan and his collaborator Horst Stipp from NBC/U do not suggest that these metrics replace anything currently in use. They do suggest that they can be a valuable supplement. Still to come are analytics that can suggest the effects of day part, prior product involvement, and other extraneous factors. For now, the peaks suggest themselves as validation for advertising’s motivational strength. Other caveats include a need for a discrete search term (ING failed that test [try searching for "ing"] and Haiti passed). An interesting sidebar is the observation that presumably searches suggested by TV advertising are made by multitaskers on smartphones and iPads from their chairs of choice. Can it be that multitasking may sometimes be an indicator of involvement rather than detachment? If you can stop checking your email for a second, you’ll agree that of course it can. Next up, Karin Kricorian gave us a witty and much to the point presentation of a possibly unique problem in customer satisfaction measurement: happiness glut. Karin and her team combat this phenomenon through unbalanced scale questions (Excellent, Very Good, Good, Just Okay, Poor), through creative questioning, and being alert to new methodological options. I particularly like this one…. They give our a list of 19 or so moods and feelings and ask the guest “How did you feel during your visit ‘ even just for a minute? Please check all that apply.” Of course they have some enticing negatives in the list. Since they have an eternally moving target (no Disney park is ever finished) and a target constituency predisposed to put a rosy glow on their reactions, Karin and her team are extremely open to innovative technologies and methods. They of course do ethnographies of all sorts (ridealongs, eatalongs, smilealongs – made that one up). They maintain qualitative research facilities on site in the parks and routinely share the sessions in real time throughout the theme park network. Add in GPS tracking with spot satisfaction ratings, facial expression coding, brain scanning while guests watch entertainment experiences (not quite sure how that one works, but she got away). The success of Disney parks depends on a highly satisfied holistically experienced encounter that can be thrown off by small things that guest may not think worth mentioning or may even feel guilty for noticing. Karin’ mission is to get underneath their skin, receive their weak signals of dissatisfaction, and amplify those signals so management can not ignore them. I had the impression that her research mission has a large sleuth component. I also had the impression that she absolutely loves her work and is pretty great at it. Great presentation filled with humor and unanticipated insights…. Funny that the morning began with the observation that it’s important to focus on what is going right in order to clone it and ended with the critical necessity of focusing on the negative. Both seem totally correct and utterly persuasive. Go figure. Blogging this conference for the AMA Greenbook has been a privilege of course. It’s also been an intense joy. These IIR conferences are pricey, but they give extraordinary value. I’ve learned a lot, and I love being a researcher more that when I showed up on Sunday night. I’d call that a pretty neat success. Shameless (well, nearly) plug: stay tuned for the next installment of the 2010 GRIT (Greenbook Research Industry Trends). This issue is focused on technology adoption in the research industry and is going into the field in the next two weeks. Also, get ready for the April (I think) IIR conference on technology and innovation. It’s chaired by Lenny Murphy, who should have been here if his son Zeke was not expected as a new Georgia citizen any minute now. Thanks Lenny! Last thought is that over and over and over I have heard presenters stress the need to tell a clear, concrete, vivid story that includes an emotional appeal. It’s important when selling your research budget. It’s important when selling your research insights to end users. It’s important when you ask questions. Good stories get heard. Vividly presented insights get used. Where do you figure 78 question online surveys fit into this picture? Please be vivid. Thanks for a fabulous three days! TMRE Day Two Delivers, Too! The more things change’uhm’the more things change? If there was any doubt that TMRE’s exceptional Day One symposia were a fluke, and that Day Two would revert to the predictable market research conference fare we’ve seen elsewhere over the years, those fears were put to rest friends! Day Two was filled with all sorts of twists, turns and surprises (yes, I am actually referring to a market research conference). To wit: I thought I was going to start my day by hearing Wired magazine’s Chris Anderson ‘ probably best known for ‘The long Tail’ ‘ discuss his latest opus, ‘Free: The Future of a Radical Price.’ Instead, I got a jolt that put my coffee to shame; there would be no book plug, but instead a crash course on how tablets ‘ the non-prescription, computing kind ‘ are going to take over the world! Ok, maybe that’s a slight exaggeration, but Anderson did make a strong argument for why tablets are about to replace PCs and how closed-Web apps will to a large extent supplant the Internet as we know it today. Btw, guest TMRE blogger Kathryn Korostoff posted a fascinating analysis here yesterday on what this all means for research. It’s a must-read! Next, we were treated to a panel of EXPLOR award finalists moderated by Cambiar’s Beth Rounds and uSamp’s Matt Dusig. By now, of course, we know who won, but every one of these case studies deserves an award for innovative, real-world application of research. No naval-gazing here. - eBay and Invoke leveraged a real-time hybrid approach that included storyboards in their project to help consumers grasp abstraction and let the ideation juices flow. - ANZ National Bank (New Zealand) with help from Touchpoint in a twist used VOC research to illuminate and empower the folks on its front lines ‘ instead of just the suits upstairs ‘ which rocketed the bank’s position from 2nd worst in customer service to 2nd best. - And our EXPLOR winner, American Water, was as much a case study in courage as it was research innovation. With partners Digital Research and Thinkvine, American Water ‘ the largest such U.S. utility, operating in more than 35 states and traded on the NYSE ‘ turned its entire business development approach on its ear. I mean radical change here, at the grass roots level, in a very conservative industry. Thanks to an analytics engine on steroids fondly known as TIP (Target Identification Project), the organization ‘ which historically depended on its field reps’ relationships and gut instinct for business development ‘ now relies on objective data for strategic business development and much more. The C-suite even uses the product to promote American Water on Wall Street! Bear in mind this initiative began with extremely limited budget and no initial executive-level champion, and it had to take on the very constituents it was intended to serve. I conducted an exhaustive interview with the players, so you’ll be hearing more about this incredible story in detail next week. Moving into the session tracks, we heard from 3M on the prickly topic of DIY. For understandable reasons, this isn’t exactly the type of story research agencies typically like to hear because building one’s own internal supplier kinda removes them from the equation. But there’s no denying it’s a trend with legs if you’ve got the right people in place in the right organization. The upside for providers is that this sort of disruption keeps the rest of us on our toes and pushes us to perform even better. So it’s little wonder that 3M walked away with NGMR’s 1st annual Disruptive Innovator award in the client category later in the day. Btw, it has come to my attention that for a large portion of the day yesterday, I was apparently being stalked by another of our TMRE guest bloggers, Bill Weylock of Brand3Sixty, who coincidentally attended many of the same sessions as I did. In fact, you’ll find a detailed account of the IFC presentation courtesy of Bill on yesterday’s TMRE blog, along with some of the other sessions I’ll reference herein. Seriously, Bill’s coverage is exceptional and I’m sorely tempted to plagiarize. Anyway, following the IFC session, we broke for lunch, which gave me the opportunity to shake Weylock from my tail. Congratulations to all! We’ll hear more about the disruptors in a panel session later this morning, which I’ll cover in my next summary. The afternoon track for me kicked off with an issue that I thought had been resolved a while ago, but apparently is still alive in some quarters ‘ and for good reason: online sample projectibiity. Anne-Marie Davidson of outdoor lifestyle outfitter REI outlined results from side-by-side testing of landline, online and ‘ as an added bonus ‘ cellular samples (this last group was very small and included more for curiosity with the knowledge that the number of cord-cutters is increasing). Davidson ultimately determined the online group was not sufficiently projectible for REI’s purposes. I’ll reserve judgment, but I must admit I’m perplexed that with telemarketing backlash and sugging, in the caller ID and Do Not Call list era, telephone sample could still be deemed more projectible than online sample in the U.S.
An interesting side note: Davidson referenced a study by WaMu years ago (pre-Chase). My friend Ron Gailey ‘ now heading research for Coca-Cola Asia-Pacific ‘ was head of WaMu’s research team at the time. Ron did quite a bit of groundbreaking R-O-R in those days, and one learning that always intrigued me was that he found an inverse correlation between survey participation frequency and a person’s interest in financial services products. Davidson suggested this could provide evidence for the need to weight for survey participation. Does this conversation sound familiar to anyone? The last track session of the day for yours truly was also the most interesting for me, and clearly a lot of other folks felt the same way, because when I arrived, there wasn’t even room to stand, so I had to plant myself on the floor in the center aisle. I’m referring to the presentation by Microsoft’s Reed Cundiff, who took us on a fascinating trip inside the software giant’s market research organization with an absolutely shocking and wonderful level of candor. Not surprisingly, it seems many of the techie geeks at the world’s premier software developer like to program and field their own online surveys. Rampant DIY has forced Microsoft’s legit researchers to assume a diplomatically aggressive posture when it comes to data quality ‘ when they’re not too busy cleaning up after shoddy amateur surveys, that is. The problem is unresolved, but they’re making inroads. Another issue the MR function must contend with is that Microsoft ‘ like many others ‘ today is so ‘awash’ in information from so many different sources in so many different directions that Cundiff expressed genuine concern that someone may well drown in data. On other fronts, he counseled against succumbing to victim status when left out of the loop and then consequently confronted with an internal client’s emergency; he made the case for researchers to be flexible, open to change (there’s that change theme, again) and willing to experiment with the unorthodox or new; and he offered an arboreal metaphor for his philosophy on internal politics with regard to the MR team by noting that sometimes to keep a tree healthy, one must saw off a branch or two. Finally, he disclosed that the Microsoft recognizes a talent shortage in the research area, and in lieu of always hiring in talent, has invested in internal professional development both from a technical side and in terms of softer but no less important skills like communication and consultation. But while researchers’ focus has most assuredly taken a turn toward strategy and addressing business needs, Cundiff emphasized that management neither expects nor desires research to be McKinsey. ‘They don’t want us to play management consultant; they want us to be research consultants,’ he said. I mentioned in my recap of day one that a major theme I saw emerging in the research space was this ying-yang notion of simple complexity. Well, at the end of the day yesterday I hit the jackpot with back-to-back presentations by Central Michigan University’s Dr. Michael Garver and Jonah Lehrer, author and neuroscience authority. Garver schooled us on the latest in segmentation, max/diff, predictive analytics and adaptive choice modeling. I must confess much of this presentation went right over my head, which means this man is either a terrible teacher ‘ doubtful considering his professional affiliation ‘ or this is pretty complex math (one of my many weak points). My point is that here we have a prime example of research becoming increasingly sophisticated. By contrast, Lehrer ‘ while no less cerebral (pardon the pun) than Garver ‘ spoke simply of how humans are not wholly rational decision-makers, but rather tend to defer to our emotions when we make choices. In fact, drawing on multiple very compelling anecdotes, Lehrer illustrated that pure reason is not a gift, but a handicap, and that while our great thinkers have long disparaged emotion in favor of reason, our emotions are actually much more powerful than our cognitive resources. Emotions are deeply empirical in nature and enable us to process vast amounts of information and learn. So what does this mean in terms of decision making? Distilled to its essence, Lehrer said the concept is simple: relatively speaking, losses hurt more than gains feel good. Therefore, loss aversion exerts more influence over our decisions than the pursuit of gratification. That simple insight alone should radically change the way we think about how we market and brand. Dan acknowledges that “Change is hard. : and “People hate change.” Those were two of the most common things he and his brother heard when they began to work on the book. But, he also observes that some change is good. Wedding photos are full of happy faces’and this is a HUGE change. Having babies, also a huge change. So why are some changes hard, and others are easy’even joyful? The answer comes from the fact that we have two systems in our brains. the rational/deliberative side, and the emotional/automatic side. When these two systems align, change can happen. When they’re not, change can be painful. So, how do we make these two systems work well together? The Heaths’ thesis is reflected in a metaphor. ?? The rider, our logical person, who is quite small compared to the elephant. May be a naysayer’who says stop and think. And who thinks he is in control, but he’s on an elephant. In a disagreement, who’d win? ?? The elephant is our emotional person. Needs to be fed. It is big. Bigger than we care to admit. The elephant needs motivation. ?? The path, which is the direction. The rider needs direction. BTW, as Dan amusingly points out, the elephant doesn’t care about PowerPoint. The elephant tells you to eat ice cream, check your email over and over when you should be doing ‘real work’, or to call an ex when you are drunk. But the elephant is also good. It’s what gives us cool new ideas. It is the fuel to make progress, change. But this all points to a problem. In a lot of situations, we have objective information’but a desired change is not happening. In market research, this can be that we have delivered some amazing data pointing to a new product opportunity, but we can’t get the management team excited enough to actually take action with it. We tend to ask what’s broken and how do we fix it, instead of what’s working and how do we clone it. Why do we do this? Psychologists say bad is more powerful than good. We remember bad stuff longer. We look at negative pictures longer than good ones. When asked to recall experiences, people more readily recall negative things than positive things’whether about a place or a person. We also need to be crystal clear that knowledge rarely leads to change. Lots of products have warnings’even cigarettes. Factual information rarely impacts us. In businesses, we can deliver facts, figures’and it rarely leads to change. We need to produce a feeling. To illustrate this, Dan shared the case of John Stegner, a gentlemen who worked at a huge manufacturing firm, in the finance department. Stegner decided they could save a lot of money by centralizing purchasing, and he even had a spreadsheet that showed $1 billion in savings over 10 years. A billion dollars’anyone should pay attention to that, right? Apparently not. During his presentation, his colleagues nodded, they were polite. But nothing ever happened. So one summer, he hired an intern. He had the intern go round the company and go to every factory and collect a sample of a work glove purchased by that factory. Turns out the company buys over 400 types, with each site’s average cost ranging widely. Then, Stegner takes over a conference room, and dumps the 400+ glove samples, with average price tags attached, and brings in the colleagues. They come in, they see the gloves. They see the various prices. They have emotional reactions. They are shocked at the price variations. They are stunned at the number of different styles. Within months, Stegner had approval to centralize purchasing. He had a spreadsheet that’s showed $1billion saving. Then he dumps gloves on a table, and they are ready to move. WOW. Dan’s take away from this is that even for organizational change, we need to see and feel and that is what gives us the desire to change. And then Dan did something many keynote speakers from outside of the research world don’t do. He tied this all into market research. Dan observes that in market research we don’t instill the emotion into the process. He observes that our process is to focus on data, then insight, and hope for change. He points out we need to inject emotion into the process: we need data, insight, emotion, and then CHANGE. As an example, he cited a Microsoft research project where the researchers found that 6 out of 20 users couldn’t use a feature in a product they were testing. But the developers didn’t buy in to the results. So the researchers had the developers join the focus group process. By having the developers observe the research, they found inspiration (I also think of this as an issue with proximity to data, which I wrote about awhile ago here: ARTICLE ). As Dan correctly points out, market researchers understand data. We all know how to collect great data. What can make us stand out, as researchers, is our ability to add the emotion so that actual change occurs. His bottom line? When people change it is because they have clear direction, motivation, and a clear path. ?? Pictures. Photographs that make a point’even if extreme, or humorous. ?? Proximity. Keep research users close to the process, so they can experience the research’and not just get a slide deck three months later. ?? Find our bright spots, and clone them. What was the last great project you did that had real impact? What was different in that project?